When the all-female reboot of the Ocean’s franchise was announced earlier this year, I had high hopes. There could be a strong, powerful woman as Danny Ocean’s sister who recruits only women! A female screenwriter! A female director! Feminine idioms and phrases (i.e. “lady luck,” “a mother of a con”) whenever possible! An opening tracking shot that begins inside the female reproductive system—like the one Look Who’s Talking, but backwards! New York City streets populated exclusively by women and lined only with real-life versions of the cars from Cars, but only the characters who had female voice actors! I’m so upset. 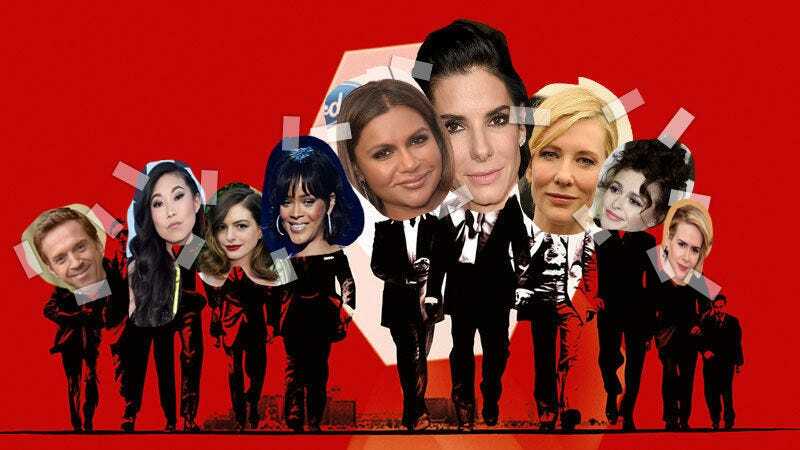 But at least I finished my Ocean’s 8 collage.